Susan Farrow is an Assistant Professor in the Department of Occupational Science and Occupational Therapy, and has been an active member of the departmental Student Affairs Committee. Susan’s past clinical expertise is in mental health, exploring the psychological and spiritual implications of illness and interventions. She practiced for 11 years in the Department of Psychiatry at Toronto General Hospital, where she coordinated the Group Therapy and Group Psychotherapy Training Programs. Susan is a Fellow of the Canadian Group Psychotherapy Association (CGPA) and is also on Faculty with the Toronto Section Training Program of the CGPA. 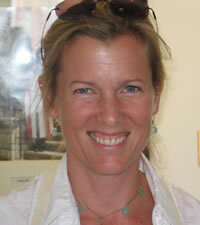 She has consulted in a variety of settings including the National Ski Academy and Boundless Adventures. Susan’s current interests in education include group process, mentorship, collaborative practice and interprofessional education. Interprofessional Education and Collaborative Practice; Group Process and Mentorship; Psychological and Spiritual Implications of Illness and Interventions.